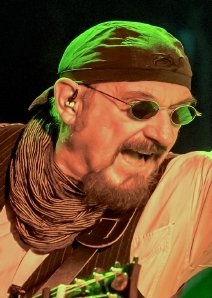 Ian Anderson is the frontman / singer / songwriter / flautist / acoustic guitarist for the band Jethro Tull. Jethro Tull’s first album, the bluesy This Was, came out in 1968, and their music rapidly developed with 1969’s Stand Up incorporating elements of English folk music and 1970’s Benefit embracing hard rock. Next up was Jethro Tull’s classic album Aqualung, released in 1971 and regarded by many to be the band’s best. This included such Jethro Tull mainstays as the title track, “Locomotive Breath”, and “Crosseyed Mary”. The band followed with two concept albums, both of which reached No. 1 in the U.S. concert charts: 1972’s Thick as a Brick, and 1973’s A Passion Play. Jethro Tull released many more albums, notable ones including the compilation Living in the Past (1972), War Child (1974), Minstrel in the Gallery (1975), Songs from the Wood (1977), and Crest of a Knave (1987) which somewhat controversially beat out Metallica for the Grammy Award for Best Hard Rock/Heavy Metal Performance. Also well worth checking out is Nightcap (1994), which has a different take on the material that ended up in A Passion Play. Jeff Moehlis: This will be one of the shows where you’re celebrating the real Jethro Tull, the English agriculturalist. Can you tell us a bit about what we can look forward to, and what inspired you to look at Jethro Tull in that way? Ian Anderson: The original character Jethro Tull, the English agriculturalist who in the 18th century invented the seed drill, was one of the most important people in the second agricultural revolution when the mechanization of agriculture began. Our agent named us after that character back in February of 1968. So after all these years, I felt that maybe I should know a little bit about Jethro Tull, so I tried to cull from various sources what little is known about his personal life, rather than the rather drier science and engineering of his efforts in agricultural innovation. His life story is not exactly full in detail, but there’s enough there to work with, and I found myself making connections between what was written about Jethro Tull, and songs that I had written over the years. For more of an exercise than anything else, I sat down and made a list of the songs that seemed to pop into my head when I read about Jethro Tull’s life. I thought, well, this is an opportunity to use those songs in the context of the narrative of his story, and rather than set it in a historical context, which would be a little bit too many weeks in tights, I thought I’d put it in the present day or near future, and we’d bring into the mix some thoughts about the agricultural innovation that has to be ongoing, and indeed stepped up, to increase food production. I’m really trying to illustrate his life story, and use elements of his life to create that narrative and bring into the mix contemporary farming and the future of farming, in the technological sense, through genetic modification and cloning and the other scary things we are faced with, and the need to increase and make more efficient food production for an expanding planet. I had to write five new songs, as well as as the old ones that I had, to tell that story and bring it up to date in that contemporary sense. 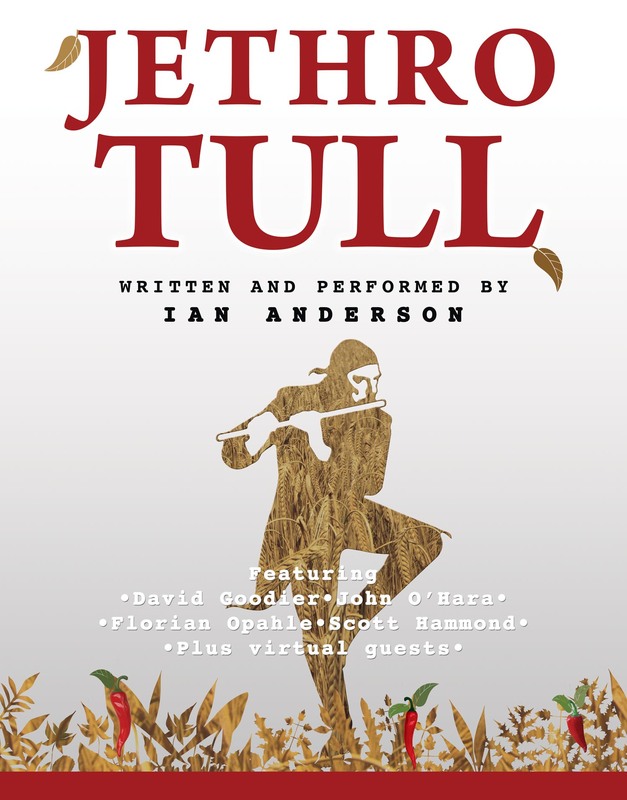 The show is essentially the best of Jethro Tull in another guise, and although it’s a production-oriented performance with a big video screen, and special guests appear on the screen behind me singing their lines in character, it’s a rock concert. That’s the first and foremost thing. And people can sit back and enjoy it without necessarily getting into the detail of the story or the characters they’re seeing. You can take it at first appearance, really. Just sit back and enjoy it. JM: Looking at the setlist from your previous performances, a lot of the songs are the best-known Jethro Tull songs. But it seems that there are some that aren’t as well known. Are there any of these older songs that you’re especially happy to get a chance to revisit through this show? IA: Well, apart from the five new songs, I think all of the songs will be pretty well-known to real Jethro Tull fans. It varies, of course, from country to country. There may be maybe some music which is perhaps a little less well-known in the U.S.A., but in Europe, on the other hand, it’s very well-known, and vice versa. There are these slightly regional and national differences in the audience’s appreciation over the years of the repertoire of music that I’ve written. Some of it perhaps didn’t hit the spot as much in some places as it did in others, but generally speaking, from where I’m positioned because I travel around the world and play in lots of different countries to lots of different people of very different nationalities and backgrounds, I’m trying to draw together the material that makes more sense. There are some songs that I could not have found a reason to put in this show. I mean, the song “Bungle in the Jungle” would absolutely not fit this context without a big re-write. I mean, I could do that, but I don’t think I want to, not to somehow shoehorn it in just because it’s a well-known radio song of Jethro Tull’s from back in the mid-70’s. You know, there are others, too, that I think might be in the same position. But I have to be a little prudent in order to try and stick with the storyline and give it sense. I guess I could probably quite easily think of a song that’s very popular in Italy and Spain that is not in the show. I can think of one or two that are very popular in the U.S.A that are not in this show. But the bulk of it, internationally speaking, it’s amongst the most played and appreciated pieces of music. For the fans who have seen it all before, obviously there is something different, which is five new songs and all the linking passages, the recitatives, that are the musical introductions into the next piece. It’s an operatic device, as I’m sure you’re aware. JM: Looking at the setlist, I see that you have some songs from Stand Up and Benefit. 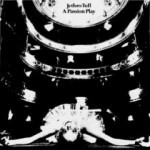 How do you view those albums in terms of the development of your songwriting and the development of the sound of Jethro Tull? IA: The very first one This Was was a hastily put together affair mainly based on essentially British Blues, as it was in 1968 as a kind of underground music phenomenon which was the area in which we worked in order to get noticed and get a start in things. 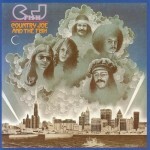 The Stand Up album was written in the summer and autumn of 1968, and immediately brought about more eclectic music, more varied influences not just from blues and rock music. 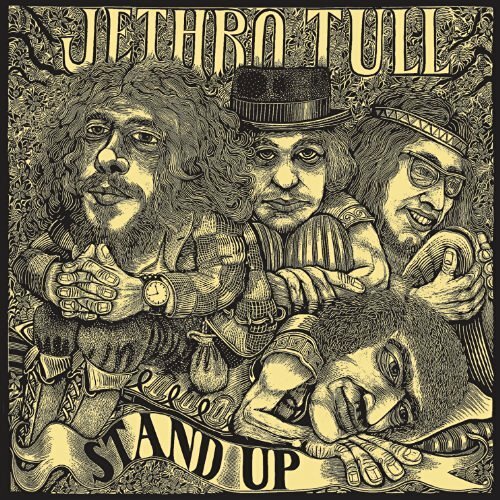 So it was the first real Jethro Tull album, in the sense that it was me as a songwriter coming up with a whole bunch of stuff that wasn’t necessarily like whatever people were doing. 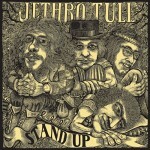 The Stand Up album does score quite well in terms of being original music. It draws from influences, but in terms what was contemporary in regard to pop and rock music back in 1969, Stand Up was, I think, quite a different sounding record. And of course, different for the obvious reason that it employed the flute in the context of that music, rather than relying on the electric guitar as the lead instrument. 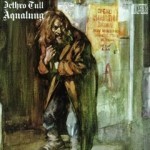 JM: Of course those albums led into Aqualung, and that just turned 45. When you think about that album, do you find that the themes that it explored are still relevant in today’s world? IA: I think that the music of most of the 50 years of pop and rock music that we tend to regard as that great era of music from the late-50’s onwards, I think most of it does have a relevance. It’s culturally very rich. For the Americana of the pop music – the early days of rock ‘n’ roll which kind of became more rounded and more accessible for the whole series of American artists, and of course that music made its way over to the U.K. At the end of the ’50’s and the beginning of the ’60’s, it inspired a whole host of young musicians who went on to create their own musical styles, obviously bands like The Beatles and those around that period of time who owed a great deal to American pop music, but nonetheless gave it a very different spin. And I suppose because of the enormous success that was enjoyed by The Beatles and successors in the U.S.A., America was very ready for that variation on the theme. Because it did bring a whole lot of new ideas and new feelings to the music. So I would say that that’s all very relevant, in terms of subject matter – of course, it’s usually the perennial issues of being in love, out of love, or seeking retribution or whatever through anger and jealousy. There are very common elements of pop songs since the days of Shakespeare writing love sonnets. It’s standard stuff. It’s relevant in the sense that it forms a great part of most people’s daily lives. The language used to describe it, and the conventions of lyric writing might change a little bit over the years, but I think it’s quite relevant. And then other issues that have come into music, from the beginnings of that folk revival and the social conscience that was paraded by the likes of Pete Seeger and then taken on by the next generation of young musicians like Bob Dylan – I mean, all of that was part of mix, and I would say that’s very relevant to this day. Many of those issues, the things that will be confronting Americans as being very fundamental to their expression of democracy during October and November, when things get pretty heated up. All of that, of course, is very relevant. Things that I’ve written about over the years, whether it’s to do with politics or society, or things to do with religion and spirituality, it doesn’t go away. It’s still there. As I say, the language may change a little bit. There may be things that you would write a little differently if you were doing it today, but generally speaking the material, I think, is pretty much relevant. I am not the poor unfortunate who wrote about going to San Francisco with flowers in my hair. That was another guy. I speak [laughs] as one who was roped into performing with the late Scott McKenzie on a big German TV show, and I think he asked me to play flute in this thing. I found myself having to do my best for dear old Scott McKenzie, who was reliving hat moment and wanted me to play flute, so I played some hippie flute on “If You’re Going to San Francisco”. Just the once. It’s not a song that for me has any relevance. Again, it’s Americana. I mean, I greatly respect and love the music of Frank Zappa and Captain Beefheart, but it’s Americana. It wouldn’t be appropriate for me to sing those songs, or for me to appear to somehow be the source of that rich observation of American life, which I think you can only really do if you are a true blue American. You can’t do it if you’re a foreigner like me, making observations. Because they will be unwelcome. They will be seen to be either disrespectful or a little precocious to say the least. I felt the same thing about playing the blues. I am not a black American. I don’t have that cultural, that historical background that would give credibility to me being a blues performer, either as a musician or a singer. It would seem somehow out of place for me to do that. That’s why I was anxious back in 1969 to go my own way and try and find influences which were a little bit closer to home, and a little bit more associated with my own cultural background. JM: One of my favorite Jethro Tull albums is A Passion Play. How did that come together, in particular, was it carefully planned out in advance, or did you frantically write the night before each session, or was it worked out in the studio? IA: It was very hastily written because we’d already been in the studio for a month attempting to record the follow-up to Thick as a Brick, and it wasn’t going very well. We were decamped to a studio outside Paris called the Chateau d’Herouville, which had been the studio that spawned work by Cat Stevens and Elton John, who had been fairly recent users of that studio. So we thought, “Oh, this must be a really good studio.” We went there, and apart from the fact that everybody except me got food poisoning from the food that we were given, and a couple of them got some pretty nasty infections from bed linen, there was a general mood of unhappiness being camped out in this place. The Funky Chateau, as it had been termed, was a little bit too funky for me. I didn’t really enjoy the experience and all, and we also had a lot of technical issues, which meant that the recordings were being constantly interrupted by equipment breakdowns. We went on for a while, and then decided to just scrub the whole thing and go back to England. And rather than start again to try to re-record all this music, I thought it would be quicker, and in a way more effective, to just start with something completely new. And so, over a period of a couple of weeks I probably rather too quickly wrote and worked on the Passion Play album. We spent a ferocious and hard-working period of time in the studio in London that we’d worked in before to record the album. It was done surprisingly quickly considering the relative complexity of the music. I think we probably were in there for about three weeks, and that was a lot faster than most people when it came to making a record. JM: At the end of the song “Only Solitaire” on War Child, and also “Solitaire” on what you’ve called the Chateau d’Isaster tapes, you say, “But you’re wrong, Steve. You see, it’s only solitaire”. Is there a real Steve, a real critic? IA: I think his name might’ve been Steve. There’s another one called Caroline. There’s another mention of Steve and Caroline. They were two rather bickering critics who worked on, I think, the New Musical Express. I think it might’ve been Steve Peacock. Caroline – I can’t remember her surname. But they were those sort of know-it-all nasty kind of people who felt it was rather fun to be vulgar about people. I’ve always thought that being a music critic, you should be critical. You shouldn’t just be bathing the object of your desire in all of this linguistic glory. You know, you should be critical. You should point out the deficiencies or negative things. But if you do it in a nasty way… which of course these days it’s just the story of social media, isn’t it? Facebook and Twitter are just excuses for people to say the vilest things about each other. I mean, it really is just encouraging people to be inhuman in the way that they react from the safety of the parapet that is the internet and social media. They feel they are untouchable and can say anything, and use the worst sort of language and the most bullying and awful terms and get away with it. It’s truly sad, but that’s something I suppose in its way aided and abetted by the work of others over the years. There was another nasty piece of work by the name of Nick Kent, who actually just wanted to live inside Mick Jagger’s trousers. I mean a really thoroughly obnoxious little creep who was a journalist, again I think it was probably New Musical Express. He was just one of those guys who was so used to being given an expense account, taken out on the road, traveling around with artists, and writing about them. He spent some time with Jethro Tull, and we instantly did not get along, basically because he wanted to do a lot of drugs and I didn’t want something like that in my bedroom, during an interview. So it all resulted in sort of very nasty kinds of stuff. That happened a few times, that you crossed swords with certain individuals who actually don’t like each other. But, you know, in the professional context you should still do your job. Sometimes people have rubbed me up the wrong way, and I don’t have any means to get back at them. I’m not going to go punch them on the nose, because that would be in a way just falling into the same pattern of behavior as they used. So I, in a slightly vague way, made reference on a couple of occasions to people and to those circumstances. But it’s not something that I make a habit of. It’s the way people are, and you just have to learn to live with it, that you are going to generate a lot of very negative attitudes from people. It happens. It’s always happened. It still happens today, and I try not to let it bother me. If I react to it, in the sense of either a wry smile or a bit of a dismissive comment, as I’ve just made about Nick Kent, for example, who’s probably dead and gone by now because this was a long, long time ago, so I would imagine his lifestyle may have gotten the better of him by now. Perhaps not. Maybe he’s still lurking under the floorboards somewhere, ready to spring up again and write something nasty about somebody. [JM: Nick Kent is still alive and occasionally writing.] But yes, it’s the way people are. It doesn’t bother me a great deal. I know a lot of people get very, very upset. Poor old Keith Emerson got very, very upset about people writing nasty things about him on social media. It is said, whether it’s entirely true, that that was the cause of his lapse of reason when he took his own life a few months ago in Los Angeles, I think was where he was living. So yes, some people can’t handle it. It’s not going to have that effect on me. It’s been going on now for 48 years. I’ve kind of gotten used to it. JM: What sort of musical training did you have growing up, or did you have any? IA: I had absolutely none at all. I’ve never had a music lesson on any instrument, or really gone into it in any great depth. But I have gathered together a broad knowledge of music and how it works. But I’m not an academic musician, in the sense that I have academic training in it at all. Having said that, the people around me, people with whom I’ve worked, many of them have been formally trained as musicians. So working with them is quite easy, because we can talk the same language and get to the desired result fairly quickly. There are other musicians I’ve worked with in the past who have no musical training, and didn’t actually really understand music. So that was a lot harder, because I find it always difficult as a songwriter to explain to people how something worked. If they couldn’t talk at least using some of the musical language and understanding of the conventions of composition and harmony, melody, rhythm, time, et cetera, if they didn’t have any of that knowledge then it’s really difficult to communicate. I can think of a few musicians I’ve worked with that had absolutely no knowledge at all, they just flew by the seat of their pants, but were in their different ways responsible for some extremely creative and original music. They weren’t very easy people to work with, because they were naive creators, rather than having a balance of training, understanding, and that slightly more wayward approach which comes from perhaps not being too well trained. JM: Recently there was a lawsuit brought against Jimmy Page and Robert Plant for “Stairway to Heaven”, saying that maybe they borrowed from the band Spirit. I know in your past people have pointed out a similarity between the song “Hotel California” and one of your [earlier] songs “We Used to Know”. 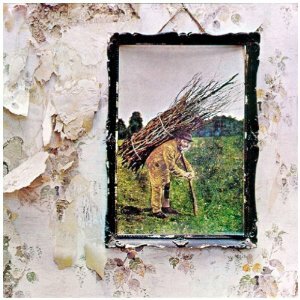 Do you have a professional opinion on that Led Zeppelin case, and more broadly the topic of borrowing or being inspired by other people’s music? IA: Well, you know, we’re all inspired by other people’s music, and I guess when we are listening or even just hearing rather than diligently listening to something, we just hear stuff and it files itself away somewhere in the back of our brains. Later on, maybe we find ourselves, subconsciously perhaps, just drawing upon that when it comes to doing something. I’m sure I’ve done it many times, sometimes consciously and a lot of times unconsciously. I think where we get to the point of it being plagiarism is where there is a deliberate attempt to essentially take the essence of, in this case, a piece of music, and then use it for your own purposes. I’m not going to comment on the Jimmy Page versus Spirit case. I can only say that, well, it took them an awful long time to come up with the idea that they should go into legal action. It seems to me, if I’m not mistaken it wasn’t the original person, it was his estate or descendants or whatever suddenly thought, “We can make a buck out of this. Let’s go after Jimmy Page.” I mean, it’s just way too long to have left it. They should’ve done it three weeks after “Stairway to Heaven” came out, if they’re going to do anything. 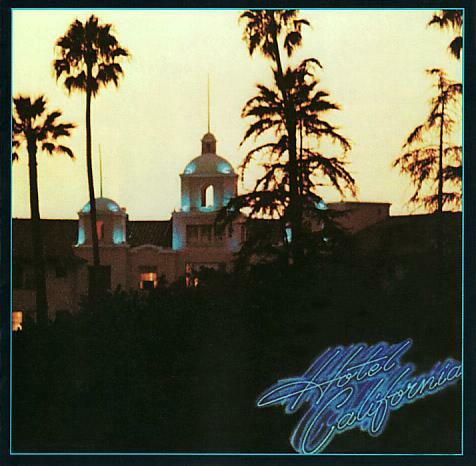 But in regard to The Eagles and “Hotel California”, yes, many people have pointed that out to me over the years, and I can understand that the chord sequence at the back of it is pretty much the same, but I’m sure you’d find other examples of that chord sequence being used in popular music over the many decades, and probably even go back further than that. It’s not in itself something that is, I think, copyrightable. In the case of The Eagles, they came up with one of the all-time great pop rock songs. I would’ve been delighted if I’d written “Hotel California”. Unfortunately I didn’t. They did. Their song is a much better song than my song. My song came out obviously three or four years before “Hotel California”. The Eagles were on tour with Jethro Tull, I think in 1972. I’m not sure if we were playing that song at the time. I’m not saying that The Eagles would’ve heard it, or noticed it, or heard the record. Maybe they heard it being played on the radio. They didn’t pay much attention, but that chord sequence filed itself away somewhere and popped out when they wrote their excellent song. I did actually take legal action against somebody for a copyright issue with one of my songs quite a few years ago. It was really blatant. It was not the whole song, but it was a chunk of something that was an element of one of my songs. And I asked our publishers to write to the person, and he agreed to pay the money from the mechanical royalties to me. And I said, “Well, actually, I don’t want the money. I’m going to give it to a charity of your choice.” So I let the person decide on a charity, and I gave those royalties to that charity. So he didn’t get the money, I didn’t get the money, but he got a smack on the back of the head, didn’t he? JM: Can you tell me which song that was? IA: I prefer not to go into that. It’s not a particularly enjoyable thing to do anyway. I don’t think I really want to talk about the specifics of that. He was a one-hit wonder, anyway. He had a brief minor hit with this song, which is why it came to my attention. But unfortunately his career was not exactly long-lived. JM: I’m certainly not accusing you of plagiarism, but perhaps this illustrates an important point. 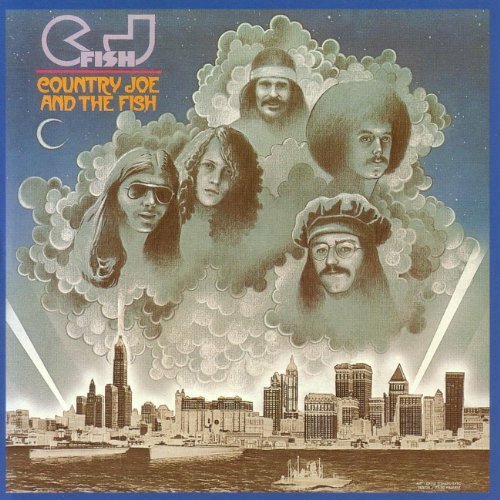 Do you remember the band Country Joe and the Fish? IA: I do, because they were one of those bands that was on that Woodstock thing. JM: Yeah. They have a song called “Love Machine” that reminds me of “Locomotive Breath”, at least the first few measures where the singing comes in. IA: You’ve got me intrigued. I shall Google it and see if I hear it. That would be interesting. JM: I don’t think it’s a well-known song, and it may not have even been played on the radio. I’m not accusing you of copying that, but it does perhaps illustrate that there are always ideas floating around. Certainly in the blues there’s a strong element of inspiration from other songs. IA: Well, you know, there are 12 notes in the musical scale. The permutations are not actually endless, so sooner or later if you’ve got a monkey tapping on a piano keyboard he’s going to write a Beethoven symphony, given long enough. It’s inevitable that people will come up with the same little ideas, which is why it’s so spectacular when you get these fantastic, iconic few notes that become a musical motif, or a riff. It’s magnificent, whether it’s Beethoven with [sings Beethoven’s Fifth Symphony] “Ba-ba-ba bum”. It’s apparently so simple, but no one had done that before [laughs]. But of course, those notes in that order will have been used countless times before, it’s just the context in which he gave that as a fundamental musical motif that we instantly recognize. It’s miraculous when you get one of those, you know? You can say the same thing about the riff from “Smoke on the Water”, or a bunch of Led Zeppelin songs for that matter, like “Whole Lotta Love”. 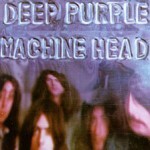 Those riffs are just wonderful gifts when you suddenly find that simple notion. Usually it’s from the guitar. I mean, Ritchie Blackmore came up with the riff for “Smoke on the Water”, and Jimmy Page doubtless came up with the idea of “Whole Lotta Love”. And I’m not a guitar player, but in a bedroom, in a motel room somewhere with my acoustic guitar, I came up with the riff of “Locomotive Breath”, or of “Aqualung” for that matter. So sometimes you come to these things even though it’s not your instrument you’re working with when you come up with that musical idea. You know, when you get one of those, and it’s a good one, you’ve got this priceless commodity, really. It’s extremely valuable. It’s a very cheering kind of a notion, when you know you’ve got one of those great moments. You might not perhaps realize it straight away, but probably by the time the record comes out you know, “Hey, that’s a winner.” And people react to it and instantly follow it. So sure, there’s been a few of those along the way, and I’m a great admirer of those other people who have come up with their great riffs or chord sequences or melody lines or hook lines. It’s some amazingly special people in this 50-something years of pop and rock music who’ve done music that I think is truly timeless. I think it’s truly timeless. I think it will be remembered and appreciated every bit as much as the greatest periods of classical music. JM: You mentioned the “Aqualung” riff, which I would put in that pantheon of great riffs. When you first did that, did you feel like, “Oh my gosh, this is really great”? IA: Well, as I say it was a guitar riff. It became the introduction to the song, but then of course in the louder parts of the songs it’s sung, it’s a melody line. And the chord sequence that follows it is absolutely not like anything else. It owes nothing to anybody else, the actual chord sequence in the louder sections that follow on. It’s something quite different, certainly not part of the blues and rock ‘n’ roll background of music. In that sense, it’s quite good to have found something that really was different. It wasn’t part of a musical heritage that you can pinpoint. It’s quite original. So it makes me feel good. It’s a nice thing to have. But it’s not the only one out there. It’s just one of my ones, and I feel very close to it. But as I say, it began as a riff on an acoustic guitar, with a view to it being a melody line during the course of the song. For a previous interview with Ian Anderson, click here.